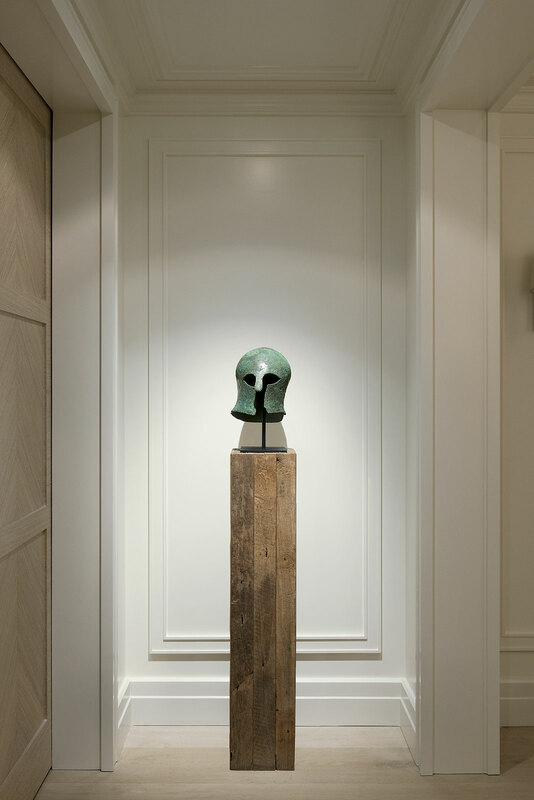 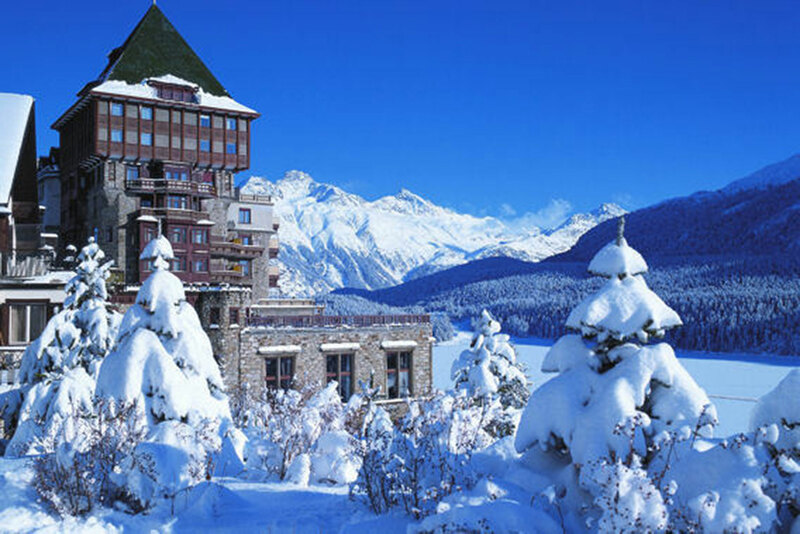 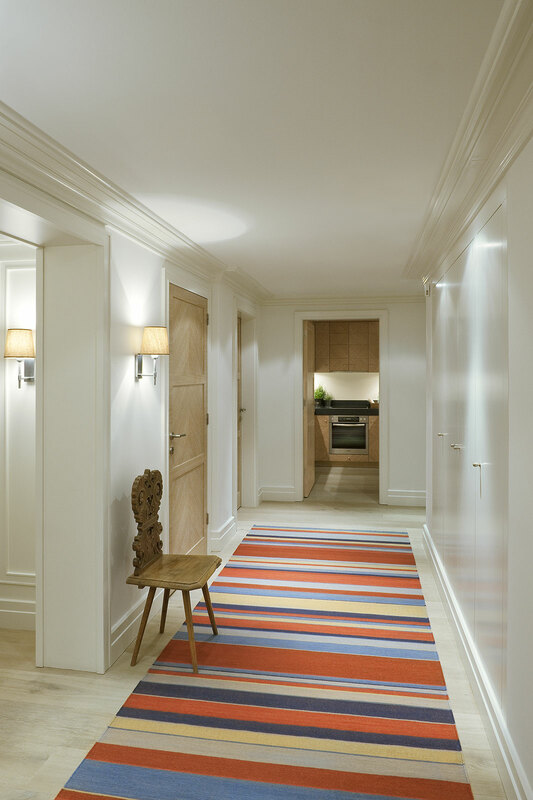 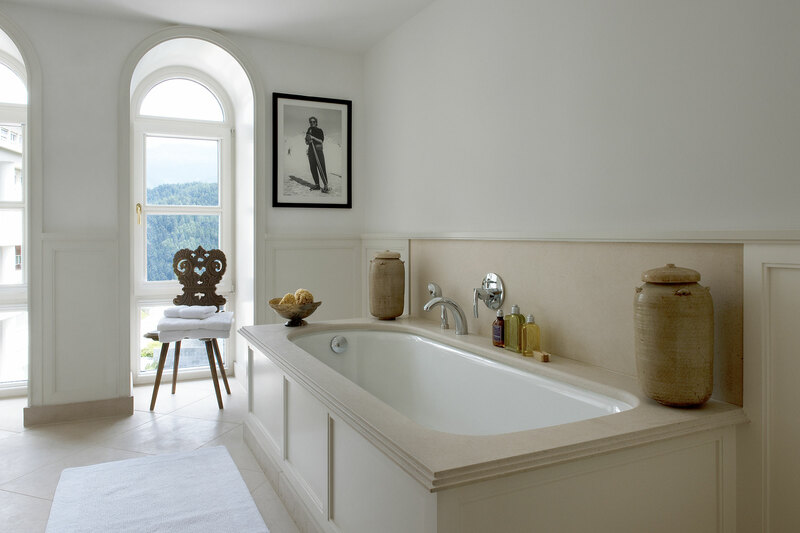 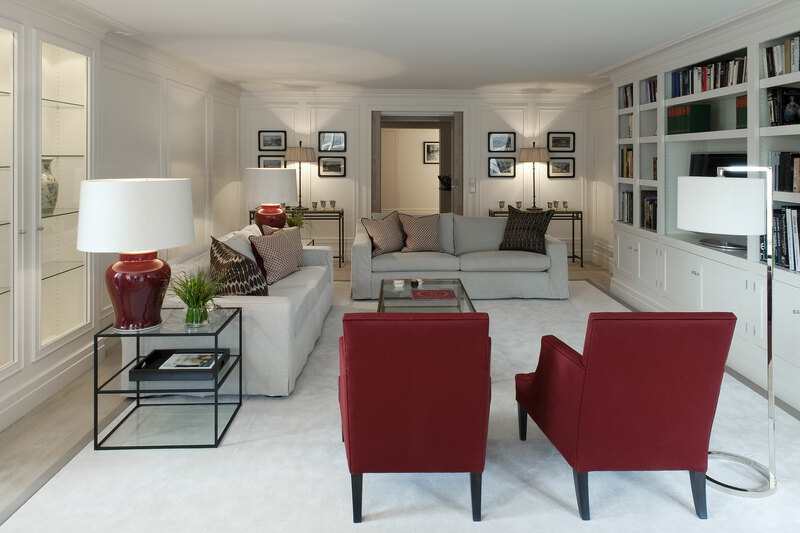 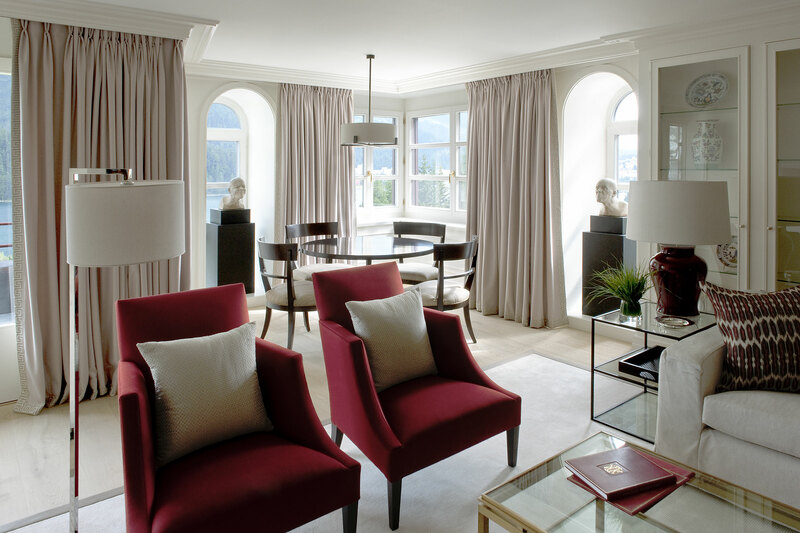 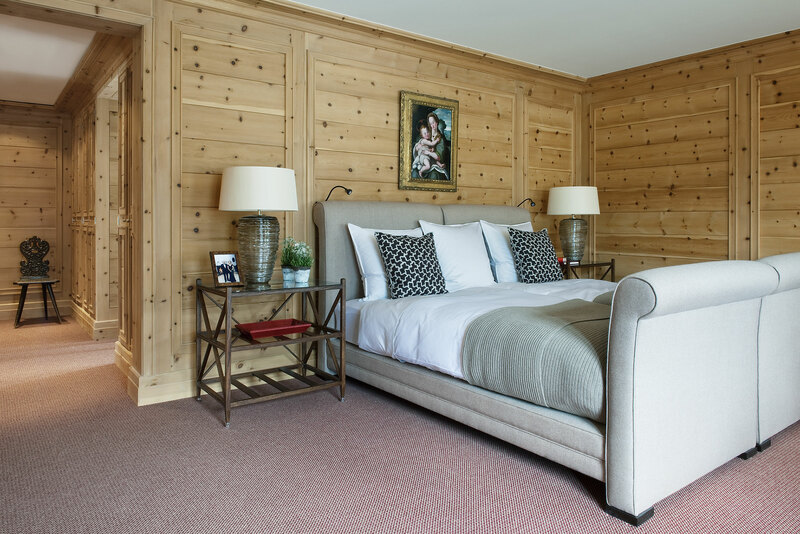 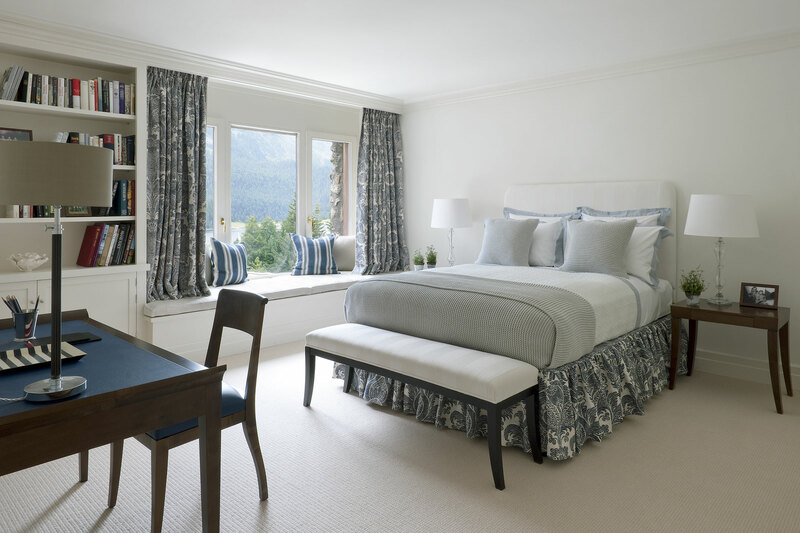 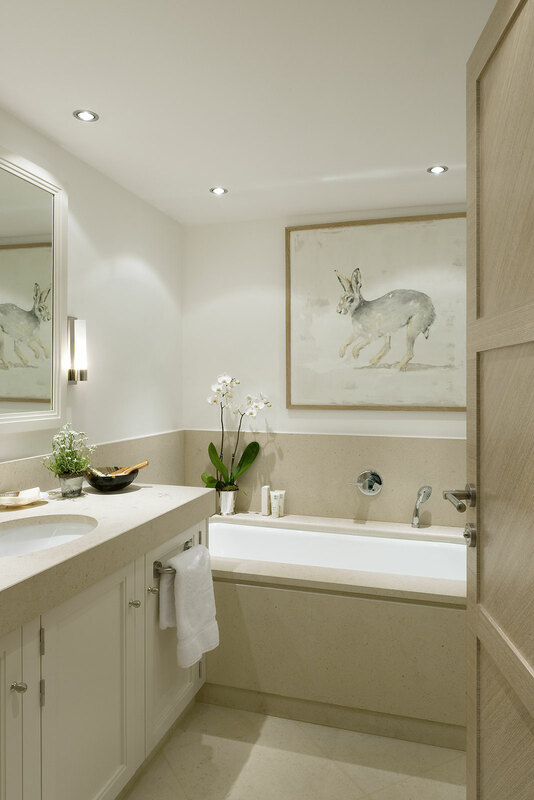 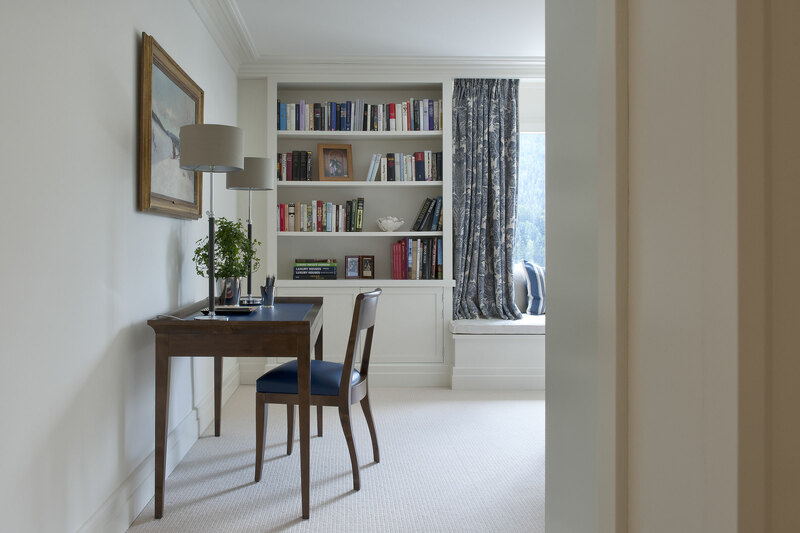 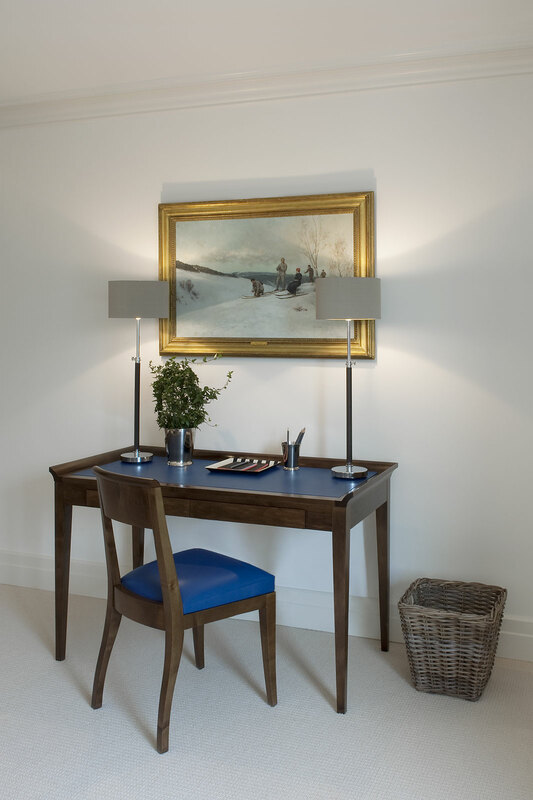 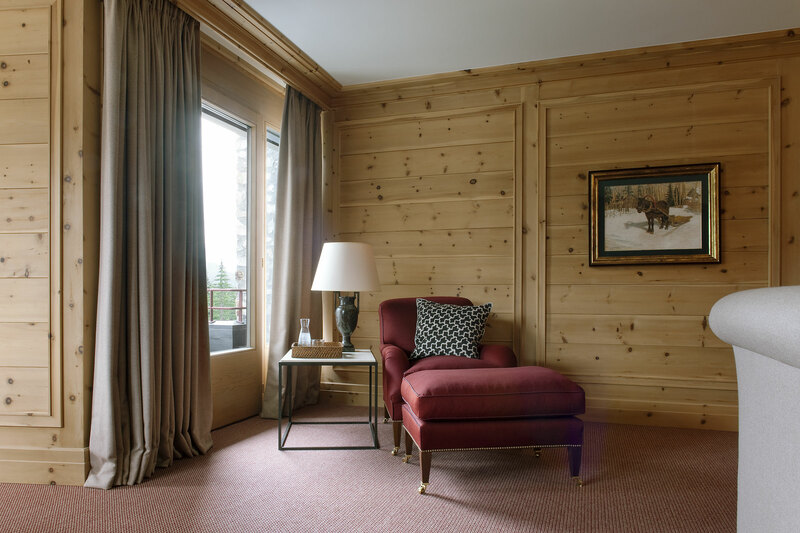 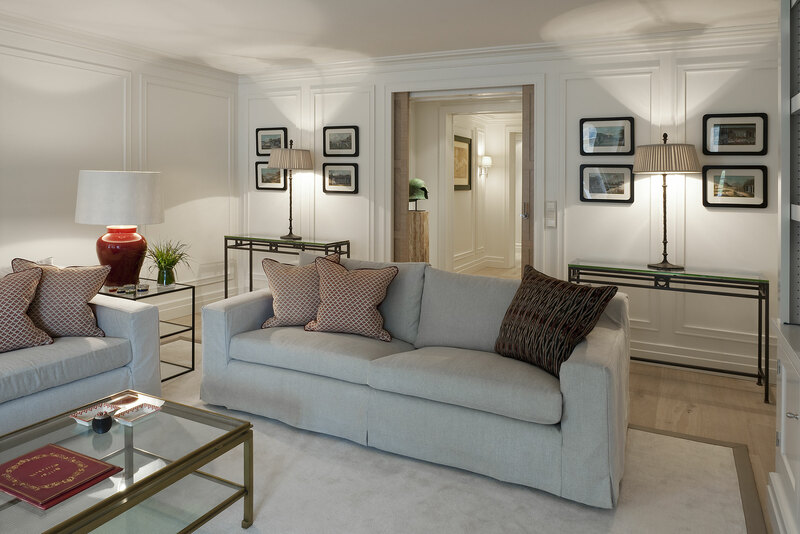 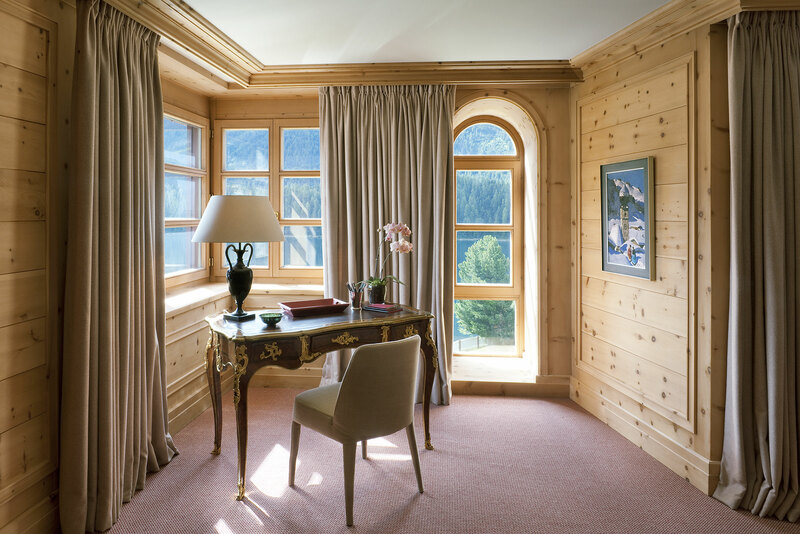 In 2010, Mark Gillette Interior Design was approached by one of it’s most loyal clients to assist with the conversion of three hotel suites in the iconic Badrutt’s Palace in St Moritz into a private serviced apartment. 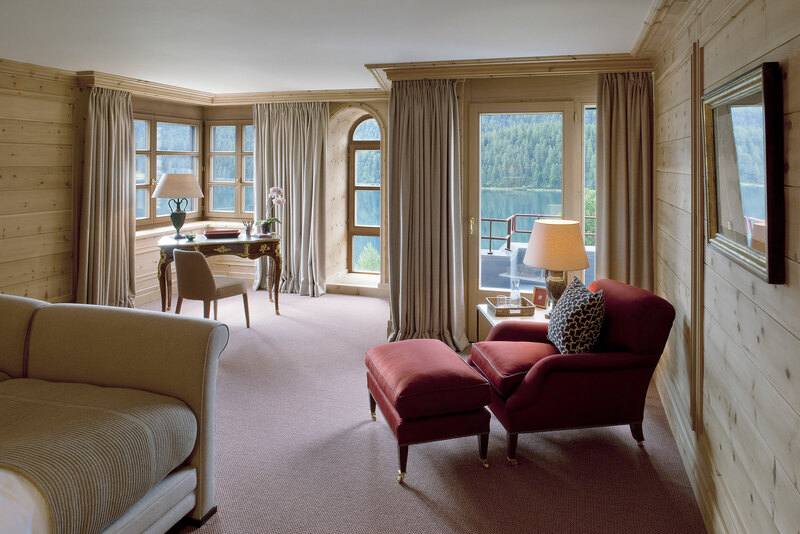 The 2,400 square foot space was totally gutted, and a new layout was designed to create two large bedroom suites, a new large entrance hall, and a salon with panoramic views of lake St Moritz. 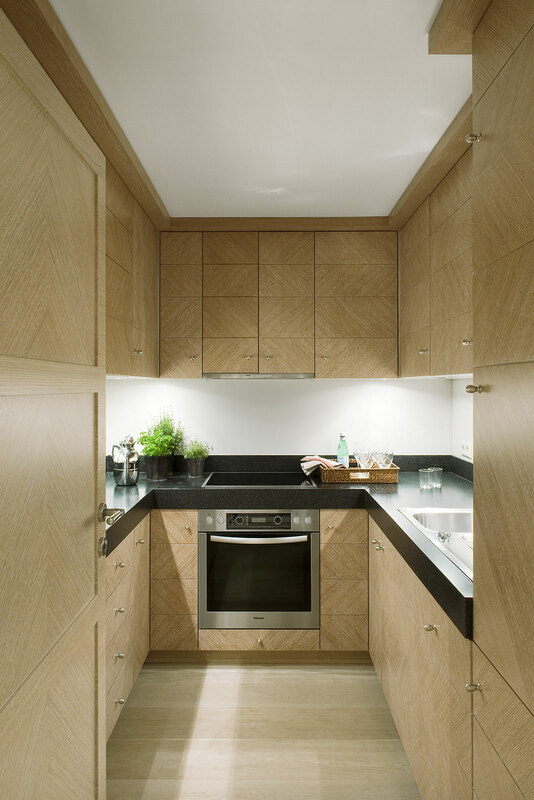 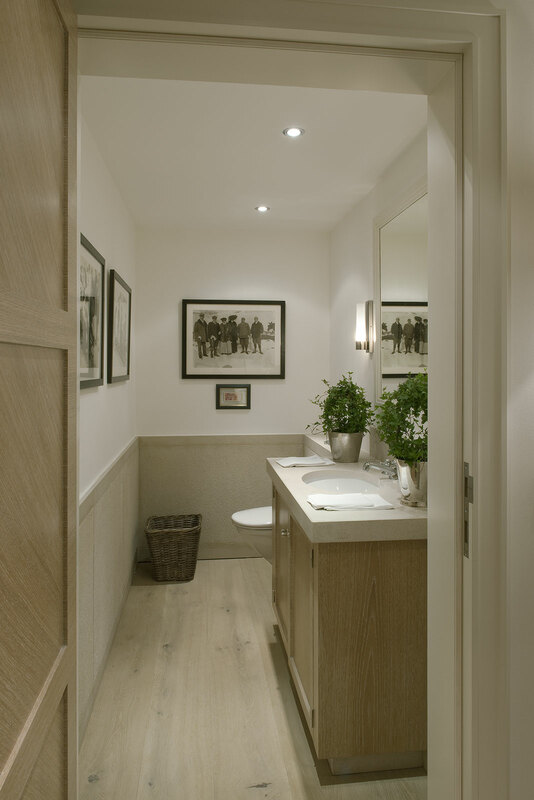 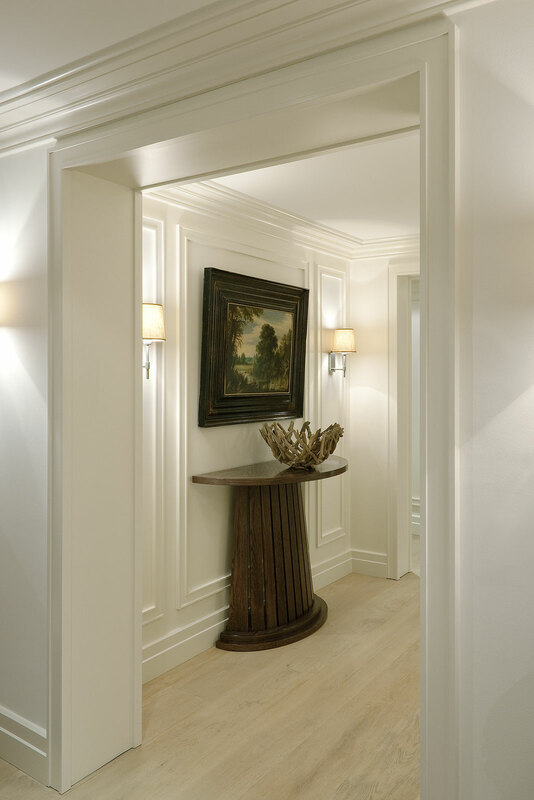 New silvered oak floors with boiserie walls create an atmospheric retreat from the slopes during the winter season.